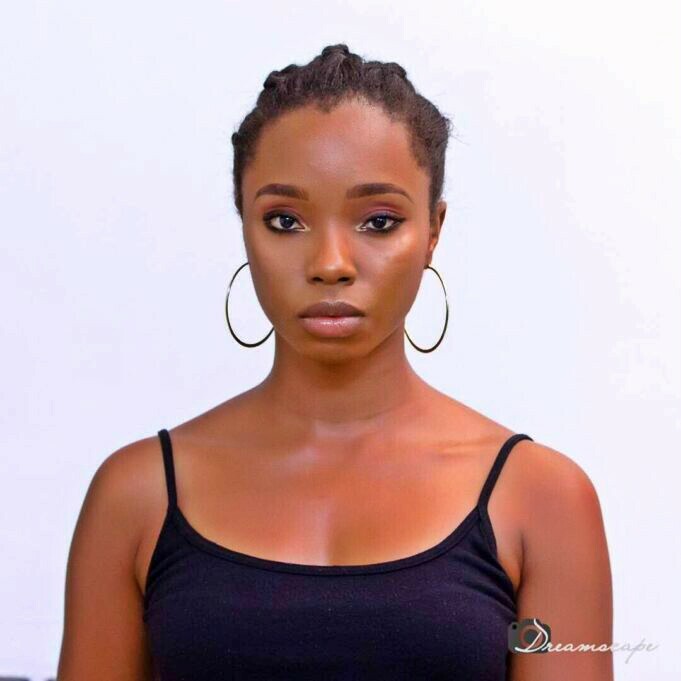 It is with great regrets to announce to the general public that ex housemate and reality TV star, Bambam has found herself in deep mess after she made away with an ostrich from U.I zone. 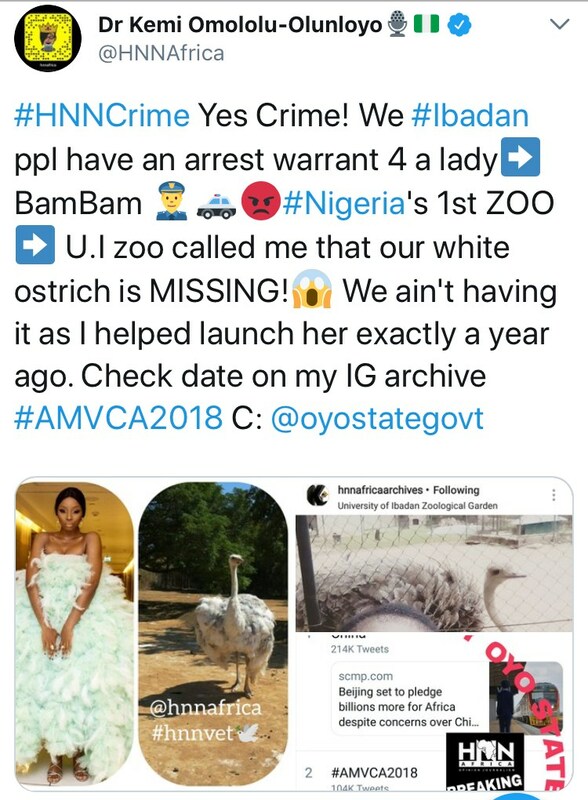 This was made known by Controversial Blogger, Kemi Olunloyo who took to twitter to declare Bambam wanted over the disappearance of an ostrich from U.I zoo. This is presumed to be a joke aimed at the reality TV star after her appearance pulled attention at a movie award last night.